This post record how I setup ipython qtconsole and what problem I encountered. qtconsole need PyQt4 or PySide installed, here I choose PyQt4. to install PyQt4, need to setup SIP first, these two need install from source code. ps. 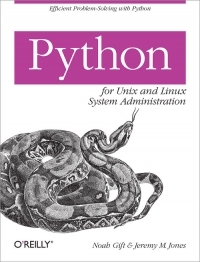 it is recommend to setup python in virtual env with pyenv first. Install some dev packages for building source code. this is the tricky part. Since current version of PyQt4 is 4.10, which broken with ipython. I found someone with similiar problem spyderlib issues, it says ipython is working on it, so I clone the dev version of ipython from github, but it still not working. I endup choose previous version of PyQt4 4.9.4 and it works!! if you have Qt4 and Qt5 both installed, you maybe have problem when running configure.py, because the enviroment is set for Qt5 not Qt4, we need to tell python to use Qt4 explicitly. one day during work, I encountered this problem, every time I sudo a command, it took awhile to prompt from password. I recalled that one of my colleague share how he use strace to debug a application. I decided to give it a shot. I changed the hostname in /etc/hostname day before. Line 4 say that it want to send somthing to JCubuntu (which is my new hostname), but it couldn’t, so time out occurred.